Last Saturday, the first of October 2016, Olivier Lajeunesse was invited by Swan Insurance to participate in their annual golf competition. 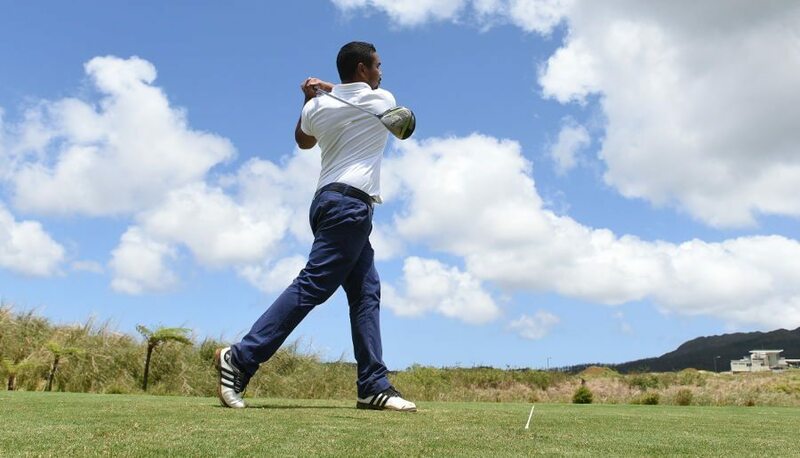 This time the tournament was held at Avalon Golf Estate, currently the newest golf course on the island. The event was a real success with over 100 participants. “For some that may not know, I have only started playing golf since April 2016 and have a 28 Handicap. The first month of game introduction were frustrating but it did not take me long to become a golf passionate and enjoy this beautiful sport. I knew the time would come to have my first competition and was looking forward to it. I gladly accepted the invitation for the Swan Golf Tournament but at the same time I was a bit stressed at the idea of competing with the experienced golfers. I believe that just like all beginners, I struggled to maintain consistency in golf swing tempo, alignment etc. Altogether, I was very satisfied of the day especially of the birdie done on the 17th hole which is a par 4.